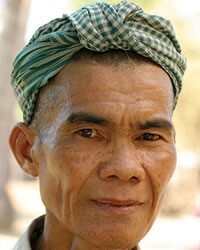 Overview: The Cham people are an ethnic group in Southeast Asia, distributed mainly in central Cambodia and Vietnam. Their roots trace to the Kingdom of Champa that controlled what is now southern and central Vietnam from the 7th century until the 19th century. A majority of the Cham in Cambodia are Muslims while in Vietnam they follow Hinduism, Buddhism, or a mix of ethnic religions.